MANILA, Philippines—Audiophile Components recently upgraded Café Havana Greenbelt’s aging sound system with a state-of-the-art live audio solution by HARMAN Professional Solutions. Founded by hospitality pioneer Larry J. Cruz, Café Havana is a traditional Cuban restaurant located in the Makati district of Manila. In its quest to celebrate all things Cuban, Café Havana features a nightly lineup of live salsa music for standing room only crowds. When the restaurant’s previous sound system began to show signs of wear and tear after extensive use, management hired Audiophile to install a dependable, high-quality audio solution. In order to ensure a premium live music experience for guests, Audiophile selected a complete HARMAN live sound reinforcement system comprised of JBL speakers, Crown amplifiers and Soundcraft mixing consoles. 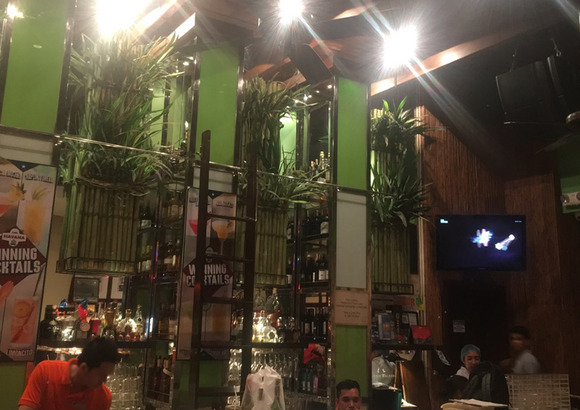 With Café Havana’s nearly around-the-clock hours of operation, Audiophile faced a very limited timeframe to install the new HARMAN system and rewire the existing audio and power cables. The seamless design of HARMAN’s audio solutions enabled Audiophile to overcome this challenge in a timely manner, ensuring the new system was installed and ready for the next day’s live music schedule without missing a beat. For the main house system, Audiophile installed four JBL VRX932LA-1 compact line array speakers with JBL’s exclusive lightweight neodymium magnet Differential Drive® woofer for high-power capacity. Each VRX932LA-1 features three 2408J annular ring diaphragm HF drivers and a constant curvature waveguide for unprecedented array coherence. The VRX932LA-1 speakers were paired with two JBL SRX828SP dual 18-inch subwoofers, which utilize powerful onboard 400MHz Sharc DSP and V5 tuning presets to tailor their low-frequency performance to Café Havana’s physical dimensions. The JBL speakers were powered by Crown XTi 6002 amplifiers, delivering reliable, uninterrupted power for performances night after night. For mixing, Audiophile included a Soundcraft Si Expression 1 digital mixing console, which incorporates decades worth of digital audio advancements and the newest DSP technology to ensure great-sounding mixes and intuitive control.